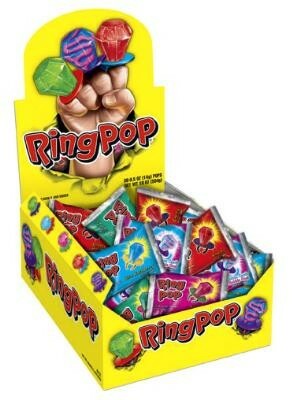 Ring Pop Original from Topps, the classic diamond shaped lollipop on a ring. Comes in assorted fruit flavors: berry blast, blue raspberry, blue raspberry watermelon, strawberry and watermelon. 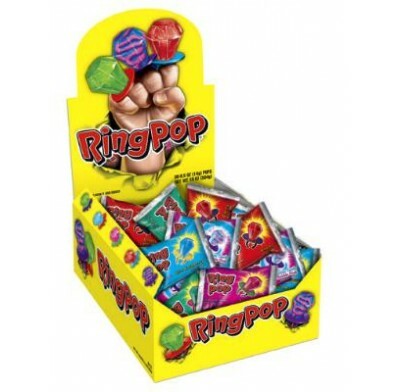 24 individually wrapped ring pops per display box.